On 5 December 2015, Ambassador Hanada explained how Timor-Leste transited from a fragile state to a stable country that still need to address the emerging problem of unemployment and corruption. Ms. Chika Saito presented a result based financing which has gained a great deal of positive results. Here are summaries of their presentations. 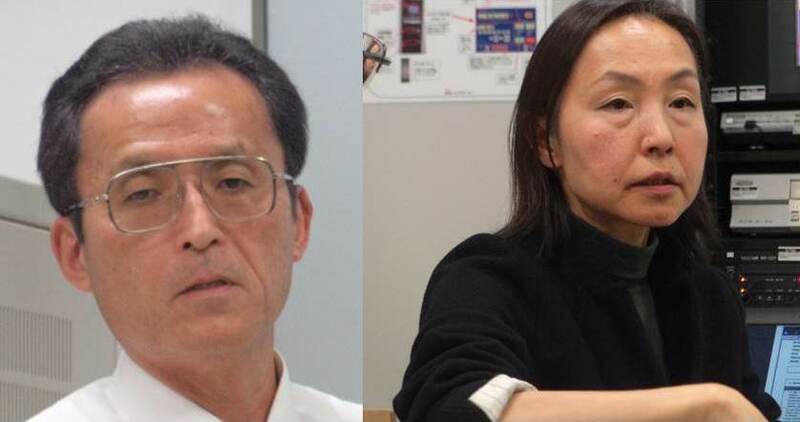 Ms. Chika SAITO and Professor Yoshitaka HANADA made presentations on “Result-Based Financing (RBF)” and “Peace-building in Timor-Leste” respectively, and these presentations were moderated by Associate Professor HIGASHI and Professor MIZUNO on 5th December 2015 in the seminar of the Peacebuilding Research Association of Japan (PRAJ) held at the Ichigaya campus of Hosei University. Valuable comments were made by participants and this seminar was organized by Professor Katsumi ISHIZUKA, Secretary General of the PRAJ. Ms. SAITO started her presentation by explaining the definitions of the term “Result-Based Financing (RBF)” with its historical background: Results-Based Financing (RBF) was first introduced by Cordaid (Catholic Organisation for Relief and Development Aid with its headquarters in The Hague) for health in Sub-Saharan Africa in 2012. With the recognition that public sector reform needs to go beyond inputs, Cordaid postulated that public systems work better when (1) standards, responsibilities, financing and incentives are clear and aligned to defined goals, and (2) outcomes are measured and monitored. Since its introduction, Cordaid has used the RBF methodology in education and security & justice sectors. According to Ms. SAITO, in conflict-affected areas and fragile regions, formal security & justice systems are largely absent or prone to malfunctioning. The RBF-facilitated performance-based agreements link local communities and civil society organisations with local administration bodies, formal justice institutions, and police services. The RBF programmes facilitate these institutions to respond effectively to the demand for civilian security and justice, and thus help to rebuild and strengthen the social contract between citizens and the state by creating trust and legitimacy. Ms. SAITO illustrated the RBF programme by presenting examples in the South Kivu province in eastern DRC: Cordaid’s RBF programme has helped to improve the performance of public administration, police and justice at the local level, with proactive engagement of women and local communities in the process. Local security committees have been revitalised and are now motivated to take their role seriously. They made an analysis of the most pressing security issues – such as sexual violence against women, land conflicts, and corruption within the security and justice services – and translated the analysis into a local security plan. Also, the number of female participants in local committee meetings tripled from 96 to 290 in the first half of 2014. The RBF in South Kivu has demonstrated a positive impact on the security and justice indicators, including (1) the number of cases dealt with by the office of the prosecutor increased from 379 in 2013 to 648 in 2014; (2) the improvement of police behaviour that communities experienced 15 per cent less harassment in 2014 compared to 2013; and (3) an increase of peace tribunal’s mobile courts in Walungu from 27 in 2013 to 79 in 2014. After Ms. SAITO’s presentation, a lively discussion ensued which included incisive comments and questions from academic and other participants, such as Professor Yoshitaka HANADA at National Defense Academy; Professor Takaaki MIZUNO at Kanda University of International Studies; and Associate Professor Daisaku HIGASHI at University of Tokyo. With his previous experience as Ambassador to Timor Leste, Professor HANADA then addressed his argument: during Peacekeeping Operations, conflict countries attract world attention. This attention, however, begins to lessen when the operation comes close to end and disappears when the PKO leaves the country. Yet, peace building is a long process aiming at consolidating the security and economic basis of conflict country so that conflict may never resurge again. Two parts of the peace building process are to be examined: Exit Strategy and Post-PKO. ”Correct judgement of stability” and “Smooth power transition” are two main components of successful Exit Strategy. The PKO in Timor Leste decided to end its operation in 2012, judging the stability to be “cautiously optimistic”. Three successive elections which took place peacefully and democratically in 2012, were main reason for its positive judgement. Examination afterwards revealed, however, economic factor played significant roll which the PKO assumedly paid less attention. Economy changes situation dramatically, yet, security often attracts more attention than economy. In Exit Strategy, thus, economic factor needs to be cautiously examined. At the end of its operation in 2012, it was controversial between PKO and Timorese government how to share power. Timorese insisted full transition whereas PKO partial. Power transition is crucial for successful operation, yet always controversial between PKO and post-conflict countries. Wide range of challenges, including industrialization and capacity building, confronted Timor Leste when PKO left the country. After power transition, post-conflict countries assume governing responsibility with help of UNDP and other UN and international agencies, yet challenges sometimes override their capacity. As Paul Collier argues, half of conflict countries begin fighting in several years again (= The Conflict Traps). Timor Leste with high level leadership will undoubtedly address issues correctly, yet challenges they have to overcome are tough enough. Post-conflict countries after PKO operation is, thus, so fragile that international society may not lose its interest in them. The presentation was followed by many comments and questions from the floor. Professor Hasegawa, in his concluding remarks, first thanked both Ms. Saito and Ambassador Hanada for having made informative presentations. The RBF, he found, is similar to the Result Based Budgeting that the United Nations undertake in its peace mission. While the UN carries out the budgeting process based on its own assessment of the prevailing situation and results it wants to achieve, the RBF does this in consultation with the local community. Professor Hasegawa agreed with Ambassador Hanada about the importance of economic conditions for national stability as also explained by Paul Collier. He also concurred with Hanada about the need to address post-PKO challenges such as dependence on natural resources, corruption, poverty, education, inequality between urban and rural areas. Professor Hasegawa thought that national security and individual human security would be maintained as long as national leaders and neighboring countries refrained from abusing these challenges to destabilized the country. The following are shortened version of the presentations made at the seminar. During PKO operations, conflict countries attract world attention. This attention, however, begins to lessen when the operation comes close to end and disappears when the PKO leaves the country. Yet, peace building is a long process aiming at consolidating the security and economic basis of conflict country so that conflict may never resurge again. Two parts of the peace building process are to be examined: Exit Strategy and Post-PKO. “Correct judgement of stability” and “Smooth power transition” are two main components of successful Exit Strategy. Correct judgement: PKO in Timor Leste decided to end its operation in 2012, judging the stability to be “cautiously optimistic”. Three successive elections which took place peacefully and democratically in 2012, were main reason for its positive judgement. Examination afterwards revealed, however, economic factor played significant roll which the PKO assumedly paid less attention. Economy changes situation dramatically, yet, security often attracts more attention than economy. In Exit Strategy, thus, economic factor needs to be cautiously examined. Power transition: At the end of its operation in 2012, it was controversial between PKO and Timorese government how to share power. Timorese insisted full transition whereas PKO partial. Power transition is crucial for successful operation, yet always controversial between PKO and post-conflict countries. Wide range of challenges, including industrialization and capacity building, confronted Timor Leste when PKO left the country. After power transition, post-conflict countries assume governing responsibility with help of UNDP etc., yet challenges sometimes override their capacity. As Paul Collier argues, half of conflict countries begin fighting in several years again. Timor Leste with high level leadership will undoubtedly address issues correctly, yet challenges they have to overcome are tough enough. Post-conflict countries after PKO operation is, thus, so fragile that international society may not lose its interest in them. Results-Based Financing (RBF) was first introduced by Cordaid (Catholic Organisation for Relief and Development Aid with its headquarters in the Hague) for health in Sub-Saharan Africa in 2012. With the recognition that public sector reform needs to go beyond inputs, Cordaid postulated that public systems work better when (1) standards, responsibilities, financing and incentives are clear and aligned to defined goals, and (2) outcomes are measured and monitored. Since its introduction, Cordaid has used the RBF approach in education and security & justice sectors. In conflict-affected areas and fragile regions, formal security & justice systems are largely absent or prone to malfunctioning. RBF-facilitated performance-based agreements link local communities and civil society with local administration bodies, formal justice institutions, and police services. RBF programmes facilitate these institutions to respond effectively to the demand for civilian security and justice, and thus help to rebuild and strengthen the social contract between citizens and the state by creating trust and legitimacy. In the South Kivu province in eastern DRC, for example, Cordaid’s RBF programme has helped to improve the performance of public administration, police and justice at the local level, with proactive engagement of women and local communities in the process. Local security committees have been revitalised and are now motivated to take their role seriously. They made an analysis of the most pressing security issues – such as sexual violence against women, land conflicts, and corruption within the security and justice services – and translated the analysis into a local security plan. Also, the number of female participants in local committee meetings tripled from 96 to 290 in the first half of 2014. RBF in South Kivu has demonstrated a positive impact on the security and justice indicators, including (1) the number of cases dealt with by the office of the prosecutor increased from 379 in 2013 to 648 in 2014; (2) the improvement of police behaviour that communities experienced 15 per cent less harassment in 2014; and (3) an increase of peace tribunal’s mobile courts in Walungu from 27 in 2013 to 79 in 2014.